Freedom Home Inspections is serious about their craft. You can count on Mark and Scott to provide responsive, professional service to help you with your home buying decision. Mark offers over 10 years of experience in residential inspection. As a member of InterNACHI ( International Association of Certified Home Inspectors ) he fullfills 24 hours of continuing education every year to maintain certifications. Mark is professionally certified by InterNACHI. 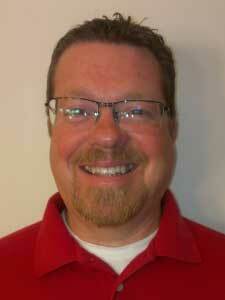 Also a member of and professionally certified by InterNACHI, Scott Loubert is the Manager of our Northern MI branch. 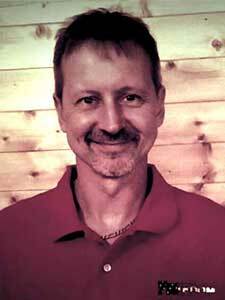 He has apprenticed with Mark since 2013 and helped to expand Freedom Home Inspections to Northern Michigan in 2017. You can count on Scott to practice the same standard of work ethics and professionalism as Mark. The reports provided to you are thorough and understandable. As we go over your home, we input data into an iPad. The software organizes the information entered into a comprehensive report for you to review. Buying a home is a hectic, stressful time. We will work with you to find the right time to complete your home inspection, even on Saturdays. If you have any questions after moving into your new home, We are only a phone call away. Choosing the right home inspector can be difficult. Each has different qualifications, equipment, experience, reporting methods, and pricing. And unlike most professionals, you may not have the opportunity to meet us in person until after you hire us, so you must make your decision based on the information you see here on this website, and by talking to us on the phone. One thing for sure is that a home inspection requires work, a lot of work. Ultimately, a thorough inspection depends heavily on the individual inspector’s own effort. If you honor us by permitting us to inspect your new home, We assure that we will give you our very best effort.